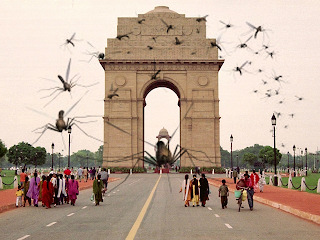 Mata Hurry writes from New Delhi with reports and tales of India: President Zardari’s visit to New Delhi, on Sunday, April 8, also coincided with a sudden increase of flies. The fleas have been released according to Stirring Trouble Internationally. Everyone loves a good story about insects. This time of the year we see them flying around the room, outside we see them congregating around rubbish bins and enjoying the summer sun. 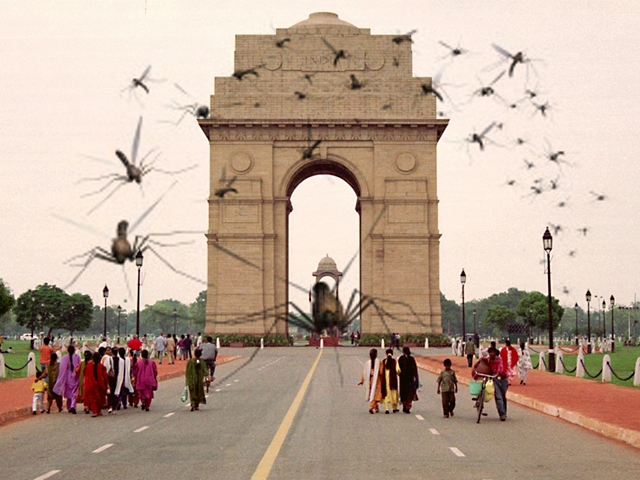 In places like India these fly's can be very happy, but also very menacing. You can read the story over on Stirring Trouble Internationally. It explains better just what fly's are doing in real life and on the circuit. In the image you can see just how big these insects can be. If you have a fear of insects you might want to skip this post. Many people are very scared of insects and as you will find out insects and flies are always causing trouble these days. One way to catch flies is to offer them something they like in this story you can find out more about President Zardari’s Carrot-And-Tick Policy.